Just what the world needs another guitar slinging blues-rocker, right? When you are this good and have great style, great chops and arrangements, ok I’ll take it. Sweden’s Patrik Jansson and company deliver the goods. He puts his effects pedals to good use with talent. His voice is strong and confident throughout. With some outside help his outfit of guitar, bass, drums and keyboards execute some riveting guitar rock. 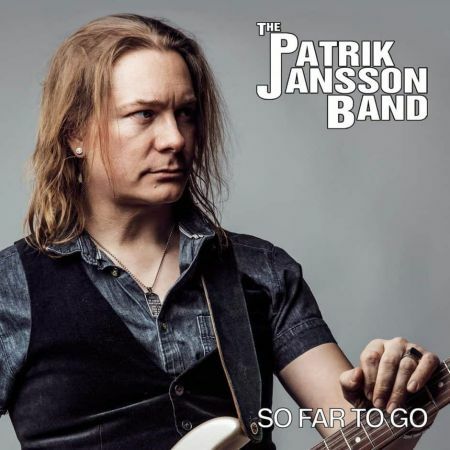 Well constructed songs all from the hand of Mr. Jansson and well thought out guitar solos make all the difference in this type of music being “hum-drum” or pleasurable. This guy definitely falls into the second category. Having a capable band in the studio is the icing on the cake. Starting off an album with a duet can be a chancy proposition for most, but here when the partner is someone of the quality of Therese Thomsson, it works just fine. It’s a cool romp with jazzy guitar and organ. What’s a blues-rock CD without a bit of Stevie Ray Vaughn inspired guitar rhythm under the lead guitar part. Gustaf Andersson’s organ adds to the funkiness of the song. Oh yeah, these guys are just as effective on the slower stuff as in “Keep Taking Your Chances”. Electric piano is a nice addition on this one along with organ. The piano adds a soothing texture. 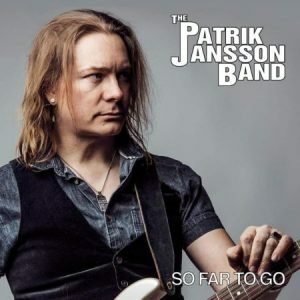 The title track is an inspired and upbeat rockin’ gem with Patrik’s omnipresent guitar goodness in fine form as usual. “Those Days Are Gone” is another slow-burner fueled by organ and horns. The funky instrumental “That 70’s Thing” gives the horn section and organ a chance to shine along with the guitar. Patrik puts his wah-wah pedal to good use here. Patrik once again dusts off his wah-wah pedal for the harmonica-guitar-horn driven “Too Blind To See”. Mikael “Mike” Fall sure knows his way around the “Mississippi Saxophone”. The haunting melodic instrumental “Sweet T” brings the recording to a lovely ending with its’ ethereal guitar and organ sending the listener off on a cloud of joy. Guitar based rock and blues-rock doesn’t get any better than this. From the high energy cuts to the slow pensive moods this music deserves to be heard. Good music crosses the world over. Seeing music this passionate from distant lands makes one feel a oneness of musical spirit. Do yourself a big favor and seek this CD out.